Mrs. Sarah A. Gillett, local preacher, Hull First Station, was a remarkable woman, and for many years rendered splendid service to the Temperance cause, the work of evangelism, and in visiting the homes of the poor and sick in the city of Hull. She was born September 11th, 1820, and entered into rest on February 14th, 1904, in her eighty-fourth year. In early life she was united in marriage to Mr. Wm. Gillett, of Hull, and when Clowes Chapel, Jarratt Street, was opened, they at once took sittings, and for many years the family worshipped in this historic sanctuary, the daughter becoming an earnest Sunday School Worker. As wife and mother our sister knew the cares, anxieties, and hopes of family life, being the mother of eight sons and one daughter. She had a strong mind in a healthy body; with a clear insight into the evils of intemperance, she got her husband in their early married life to sign the pledge, and he became an enthusiastic total abstainer through life; her children through her teaching and example all became abstainers. When her family was grown up and her husband retired from business she gave herself more fully to temperance and mission work. There are many homes that are rich in faith and love to-day because of her successful evangelism. 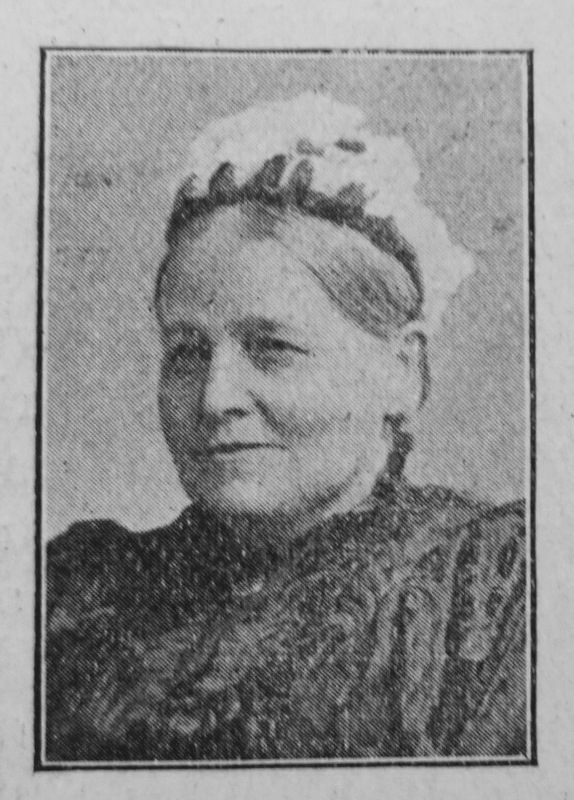 In the city of Hull she took her part in all philanthropic, temperance, and Christian Work. Fourteen years ago she was suddenly seized with a stroke. It seems to us a mysterious Providence that so useful and self-sacrificing a life should be laid aside during her declining years. We devoutly pray that the fervour and spirit of self-sacrifice that characterised our departed sister may be reproduced in her children and grandchildren. We laid her mortal remains in the Primitive Corner, Hull Cemetery, on Wednesday, February 17th, and on Sunday, February 27th, the writer held a memorial service in Jubilee Chapel, Hull. Sarah was born in Hull, Yorkshire, to parents William, a mariner, and Ann. She was baptised on 12 September 1836 at Holy Trinity, Hull. Sarah married William Gillett (1816-1903), a hatter, on 20 December 1836 at Holy Trinity, Hull. Census returns identify seven of her children.